Molasses is known as a food that harmonizes the liver. Turmeric has demonstrated liver protecting properties. And milk thistle is used as a natural treatment for liver problems. Premier Research Labs uses these three liver-friendly compounds in its Liver Support Blend, the ingredient in Liver-ND, a probiotic-fermented formula that offers premier detoxification and liver support. This premier-quality formula features ND technology, or novel micro-cultured delivery, which means it is fermented into bioavailable particles via unique multi-strain probiotic colonies. This is done to allow rapid cellular delivery and superior resonance dynamics so you feel the effect of this product as soon as possible. 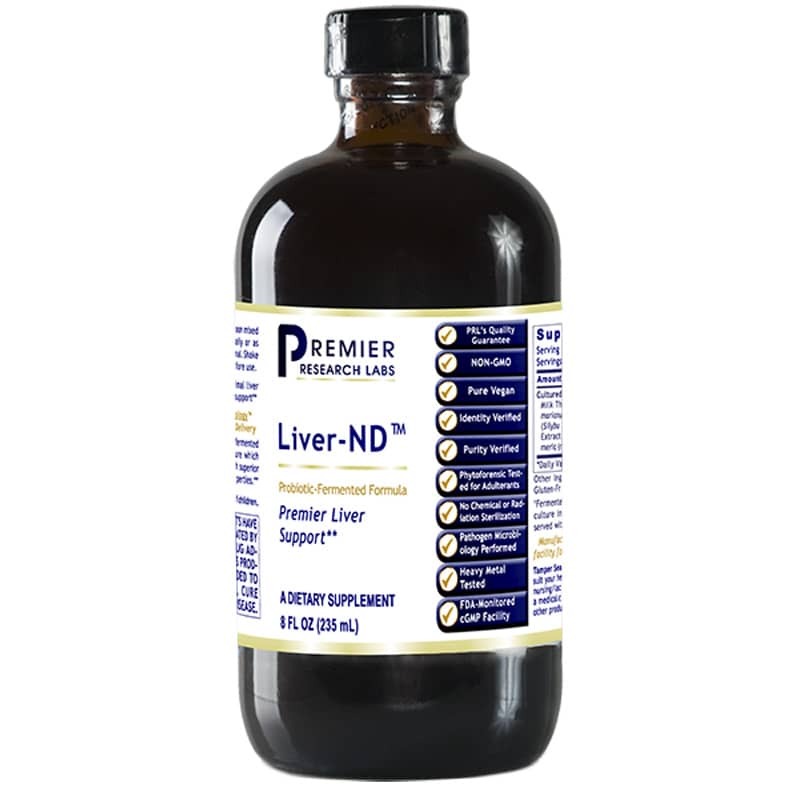 If you're looking for a natural supplement that offers optimal detoxification, rejuvenation and liver support, Premier Research Labs' Liver-ND may be for you. Order online today! Other Ingredients: purified water, organic alcohol, organic molasses. Pure Vegan. Adults: Take 1/2 teaspoon mixed in water or juice, 2 times daily or as recommended by a healthcare professional. Sip slowly over two hours or more. Shake gently before use. Liver ND was recommended to me by holistic doctor. I have been using it for a year. A little bit goes a long way. The taste is not too bad, hardly noticeable with water. I suggest taking small doses (1/4-1/2 tsp a day) and drink lot of water with it to flush out toxins! Although not why I originally took it, this seems to keep down weight around the middle. Otherwise I'm not sure it agreed with me (moodwise) but I continue to buy it for others in my family for that benefit alone.